As a break from the Black Friday/Cyber week news we have a destination review from Mrs B. You can find all the latest Black Friday articles here. I was fortunate to recently have the opportunity to visit Ghent (Gent) in Belgium. I have to admit that this wasn’t somewhere I had previously considered for a weekend break, so I wasn’t really sure what to expect. 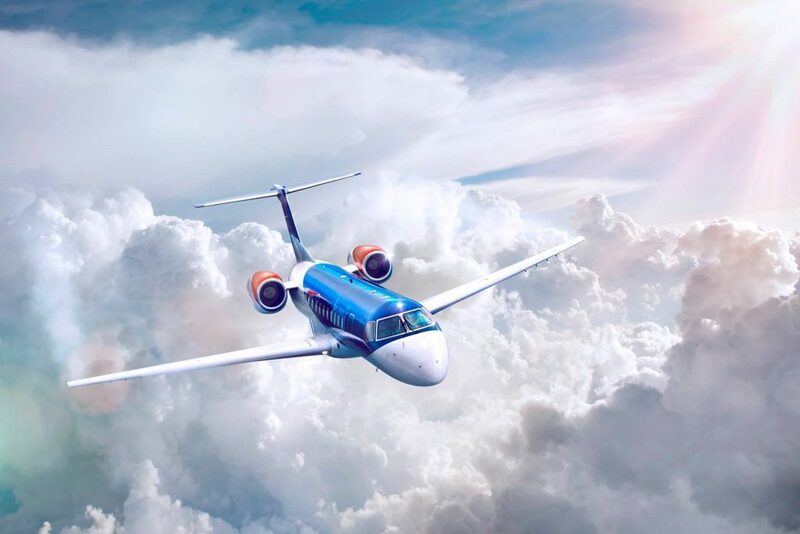 I flew from Bristol Airport to Brussels with FlyBMI (see separate review) then took a train to Ghent. 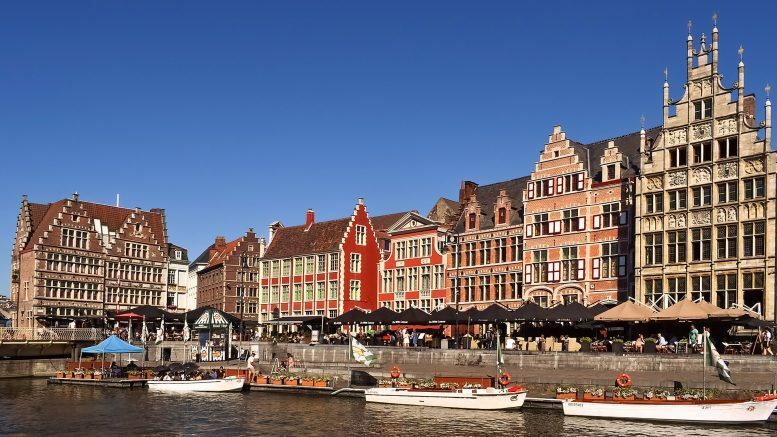 The train from the airport offers a regular direct service to Ghent which takes roughly 1hr 45 minutes and arrives at Gent Sint Pieters station. Having asked at the information desk I was told to take Tram 1 from outside the station to get to my hotel (The Ghent Marriot) – out the main door, turn to the left and follow the path around. This is the start of what became an ongoing theme with my visit! I followed the instructions exactly and didn’t find a tram although several passed by. I wandered back towards the railway station and must have looked very lost because a member of staff asked if he could assist then escorted me to the correct area, helped me purchase the tickets and ensured I boarded the tram in the right direction. I was obviously exuding an air of being lost as once on the tram a lady asked us in perfect English if it was my first visit to Ghent and could she assist us with my tram journey. She got off at a stop before mine, but another lady said she would make sure I got off at the right place. Once off the tram I looked at my map to try to establish where the hotel was and having failed to do so asked for assistance. Unfortunately having first directed me in what eventually I discovered was the right direction she ‘corrected’ and the lady I had spoken to pointed me in completely the wrong direction! Having wandered unsuccessfully along cobbled streets for several minutes I asked directions again, from a lovely couple, who insisted on escorting me to the top of the road that our hotel was on. Finally, I arrived at the Ghent Marriott Hotel where the concierge told me that although it looked easy to navigate around Ghent tourists often got lost! That made me feel slightly better. The lobby of the hotel was very welcoming with its tasteful modern decor. Check-in was friendly and efficient, and I was quickly in receipt of the keys for my room and a map of Ghent. 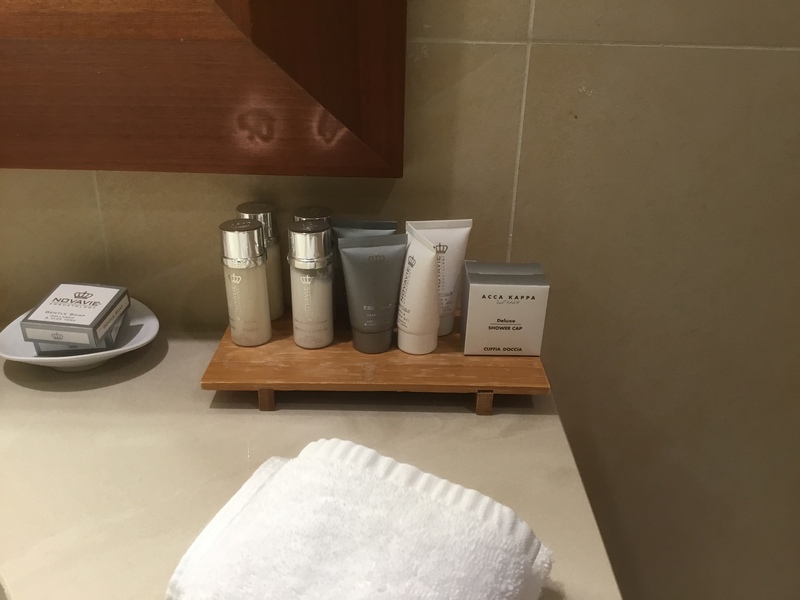 The room was spacious with two large double beds, tea and coffee and a nice bathroom with pleasant smelling ACCA KAPPA toiletries. I was, however, a little surprised to see a single small bottle of water alongside the tea and coffee with a label advising that there was a 3 Euro charge should I use it! 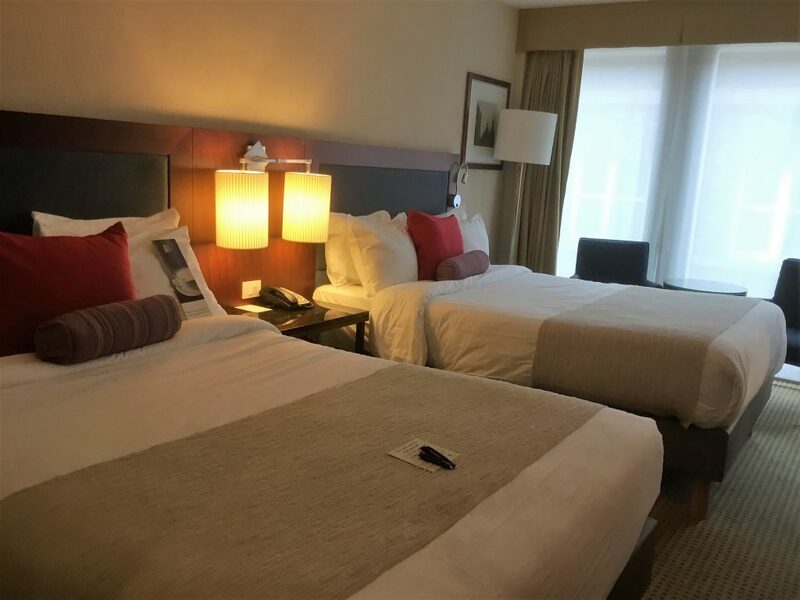 You can see details and book the Marriott Ghent here. Access to ALL top attractions, monuments and museums along with their associated facilities and exhibitions. There is just so much to see and do it was hard to know where to start so I decided to go for a guided boat tour for an initial overview. There are several boat tour operators in the main ‘tourist’ area, so I chose the one just by my hotel which cost 7.5 Euro per adult and lasted about 60 minutes. The boat captain was a mine of historical, interesting and funny information which he delivered in Flemish, German, French and English one after the other. He hardly took a breath for the duration of our whole tour! I would highly recommend this at the start of your visit. You can find details and how to book the historical boat tour here. After my boat trip I decided to warm up at one of the numerous waterside cafes and bars. Even in October when I was visiting I was able to sit outside as they practically all had patio heaters and individual fleece blankets draped over the chairs outside which I thought was a great idea. As I was quite cold I thought a hot chocolate with rum would warm me up nicely! Once re-heated I walked to Gravensteen, Castle of the Counts where I picked up my self-guided audio tour equipment (entrance and audio tour all included in your Gent City Card). I have used self-guided tours in various places in the UK before but the English language tour for Gravensteen was something completely different. At the start of the recording it states that currently this is a trial commentary – Gravensteen please keep it! It was all done in a ‘cheesy’ but humorous way which actually had me embarrass myself by laughing out loud on my own at some points. There were a couple of occasions where some slightly rude words were used but nothing at all offensive – I’m sure children would laugh an awful lot at these. I’ll just say that some were based around bathroom / lavatory descriptions and leave it at that!! One thing I would mention is that if you plan to visit Gravensteen that you wear practical footwear and don’t have mobility issues. There are several points in the tour when you will find yourself climbing or descending the original stone spiral staircases which may prove somewhat precarious. That said, no one was in a hurry and less mobile visitors descended slowly and steadily without an impatient ‘traffic jam’ behind them. I spent a couple of hours on this tour enjoying the atmosphere and taking in the wonderful views of Ghent from the ramparts. After my exertions climbing and descending stone stairs I decided I was in need of sustenance so went to a café that was literally at the bottom of the approach to Gravensteen. Once again, I couldn’t resist a Belgian hot chocolate. This particular hot chocolate has spoilt me for ever more. There were chocolate swirls around the inside of the glass but unlike the ‘chocolate’ squirty syrup I’ve often seen used this was actually real melted Belgian chocolate and the whole thing was topped off with a generous measure of fresh cream. I also managed to squeeze in a piece of apple cake. Thankfully a long-handled spoon was provided so that I ensured there wasn’t a speck of chocolate left in my glass! I then spent the rest of the day walking around several other historic buildings and enjoying the history all around. For art enthusiasts, the original painting of The Adoration of the Lamb (also known as the Ghent Altarpiece) by Hubert & Jan Van Eyck is on show in St Bavos Cathedral which in itself is a lovely place to visit. This painting has the dubious ‘honour’ of being ‘the most stolen artwork of all time’. The story behind this is fascinating and most definitely worth researching. 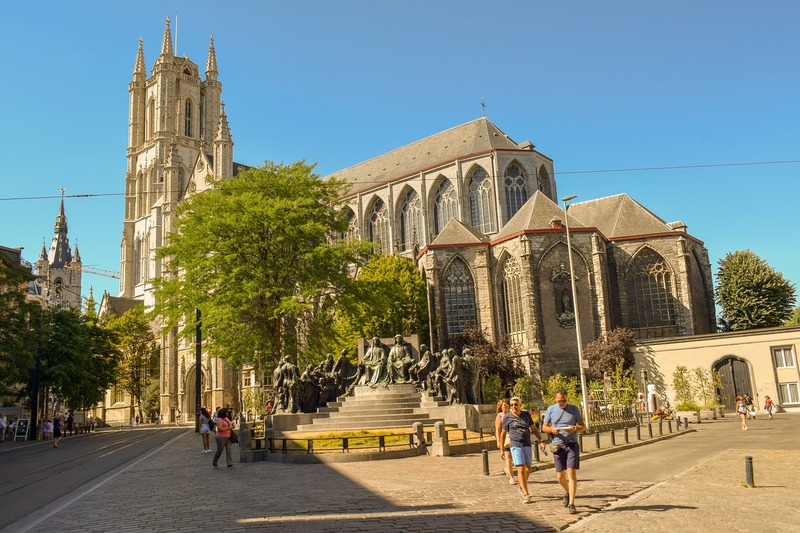 There are several churches in close proximity and a Ghent guidebook will tell you of a photo opportunity whereby standing on a particular bridge you can take a photo of three of the most beautiful churches all in one photo. I would suggest this would be best in the evening to experience the wonderful lighting. On my first evening, I dined in Pakhuis which should have been a five-minute walk from my hotel although once again I managed to get lost, even with my phone app. I phoned the restaurant and having described the shops around, Olivier, who was coincidentally my waiter for the meal, became my human sat-nav and guided me safely to the restaurant. 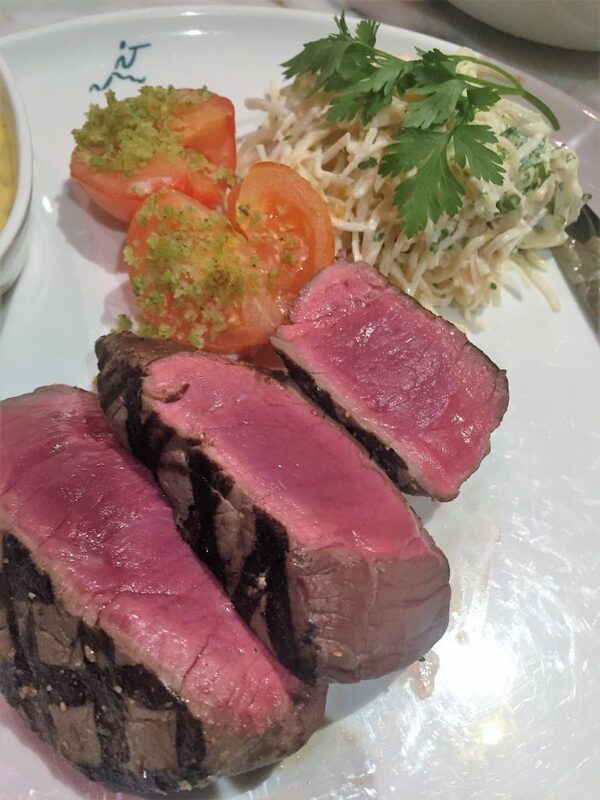 I had an amazing meal with the most perfectly cooked steak I have had in a long time though having also eaten a beautiful starter of mussels I had absolutely no room for any dessert even though it looked like the majority of those on offer were a veritable chocolate feast. I did, however, squeeze in an espresso martini! On my second evening, I visited a restaurant which is considered to be one of the best in Ghent. Unfortunately, I didn’t enjoy the tasting menu particularly, which was the only option available. Obviously, this is my personal taste so maybe it would appeal to others but I can’t recommend the restaurant based on this experience. Thankfully this experience was so very different to anything else I experienced in Ghent. 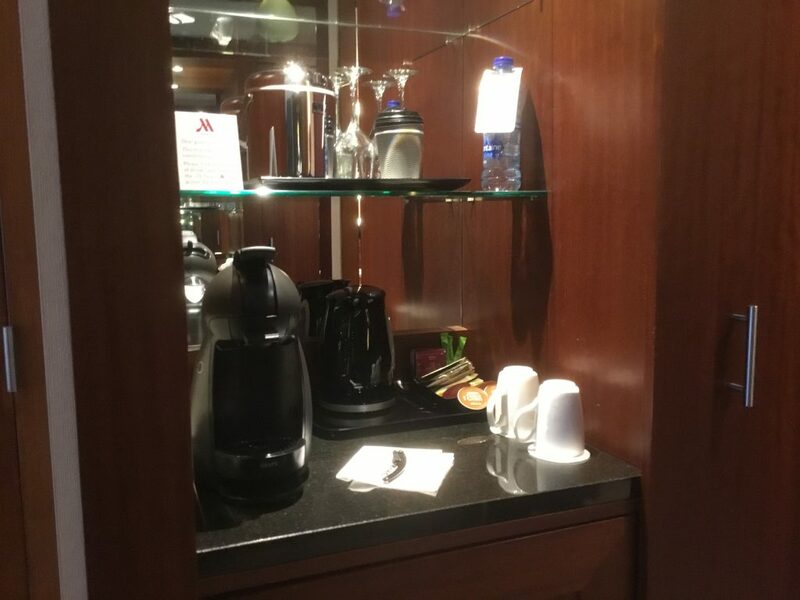 I had an early start the next morning before breakfast was even being served at the hotel to get to Brussels Airport, the concierge insisted on providing me with a nice takeaway coffee from a bean to cup machine. This is a wonderful place to enjoy a short break with the most friendly, approachable and helpful locals I’ve had the pleasure to encounter. 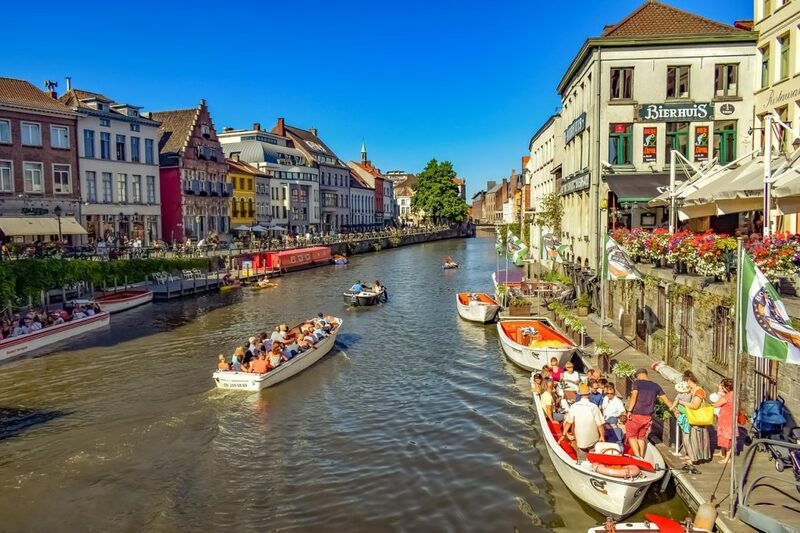 Although the main language in Ghent is Flemish absolutely everyone speaks perfect English with many also speaking German, French and Spanish. I always find it embarrassing to not be able to say even a basic word in the local language and usually look some up before I travel. I made the incorrect assumption that French would be the main language and thought I’d be fine with my basic French. 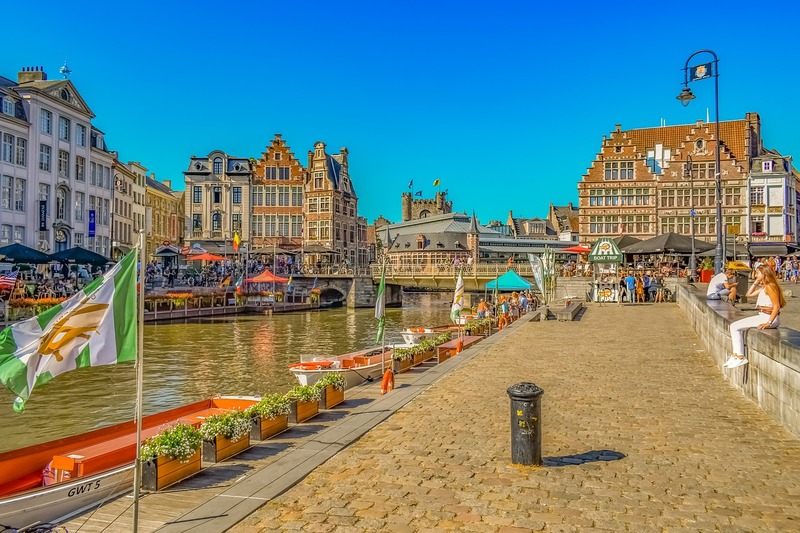 There is just so much to see and do within a very small area so it is easy to walk from place to place or to use your Ghent City Card to use the public transport. I think that even if I had spent a week in Ghent I would still not have seen all the fantastic things this city has to offer. I will most definitely visit again. One tip I would offer is to ensure you have footwear suitable for walking on the cobbled streets and footpaths. They are absolutely beautiful and accentuate the whole historic feel of the city but being cobbles they make quite an uneven surface. 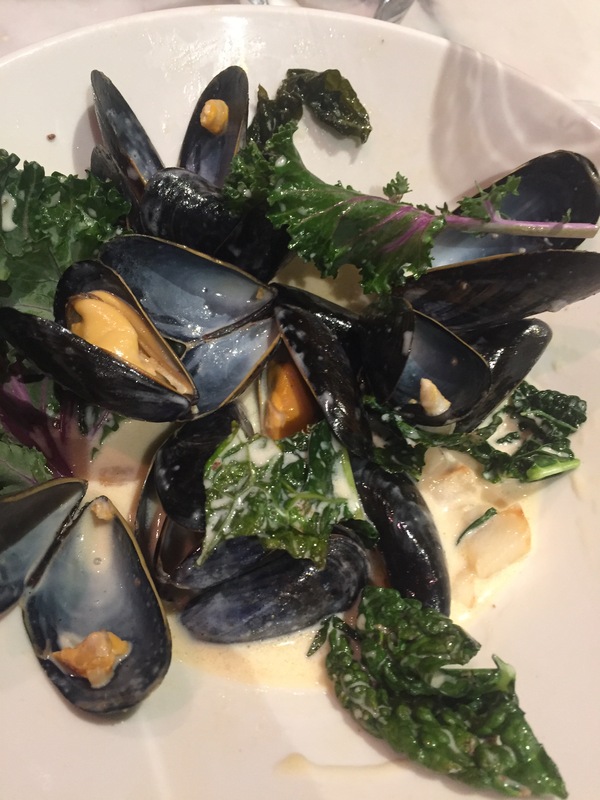 There are so many restaurants, cafes and bars at the side of the canals that you are completely spoilt for choice and in my opinion all (apart from the previously described second night restaurant) that I used were very reasonably priced with great quality offerings. No visit to Belgium would be complete without purchasing some of the wonderful chocolates. There is an abundance of chocolate shops which again, despite being in the ‘tourist’ area were well priced and have many absolutely delicious varieties on offer. I had bought some chocolates to bring home on my first day but for some reason they seemed to vanish and I had to buy some more….how on earth did that happen! I will be back as soon as I possibly can! 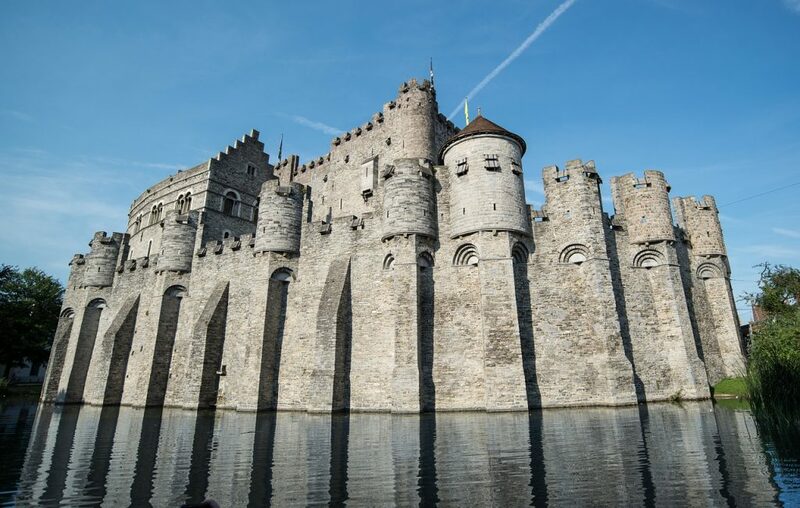 You can find more information about Ghent at visit Gent. Be the first to comment on "Ghent, Belgium weekend break & Ghent Marriott review"